Parents and their little short stacks are sure to “flip over” The Magic House’s Annual Breakfast with Santa. On Sunday, December 8 at 8:00 am or 5:00 pm and on Sunday, December 15 at 8:00 am and 11:00 am, families can make their morning (or evening) sizzle with a yummy pancake breakfast cooked by a pancake flipper extraordinaire. The kids can also have a special photo taken with Santa, enjoy playtime in the Museum and even have the opportunity to make a fun holiday craft to take home. The cost is $20 per person ($15 per person for members of the Museum) and includes admission to The Magic House. 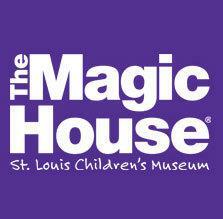 Reservations can be made online at www.magichouse.org or by calling The Magic House at 314.822.8900. Tickets are sure to sell like hotcakes! Additionally, for the first time ever, The Magic House is offering private Breakfast with Santa events (100 person minimum.) This festive private breakfast is perfect for corporations or large groups looking for a family-friendly holiday event. For more information or to schedule a private Breakfast with Santa, please contact Marissa at 314.288.2535.